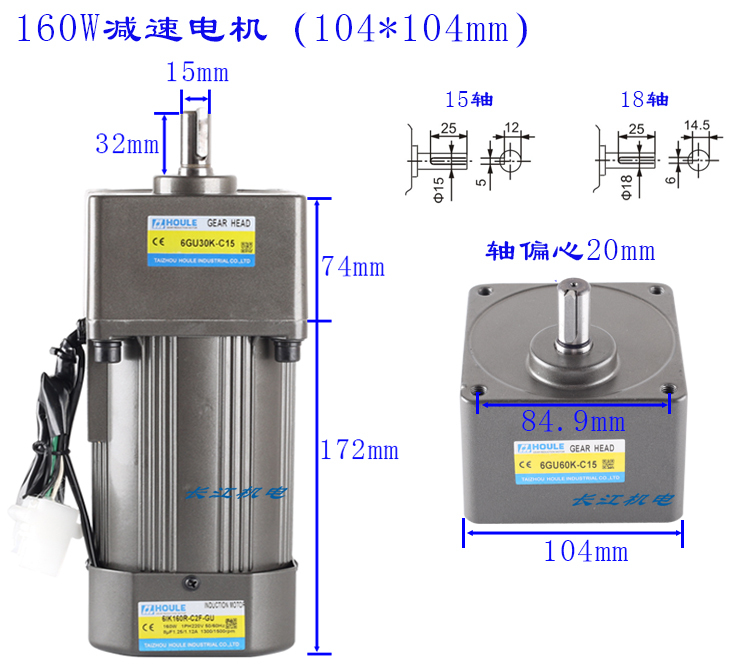 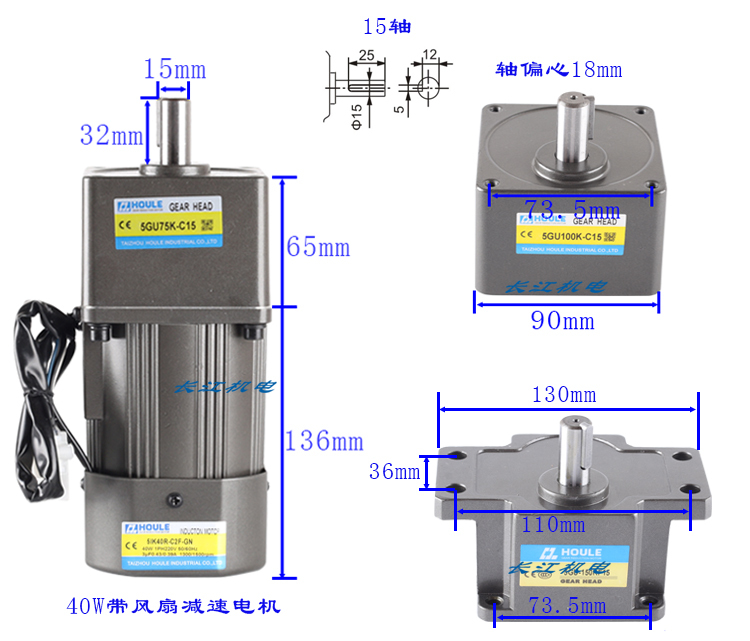 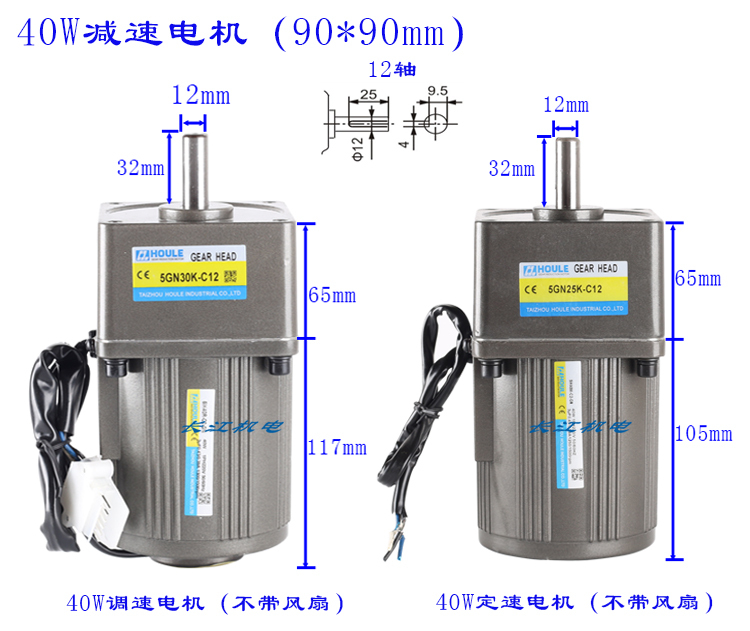 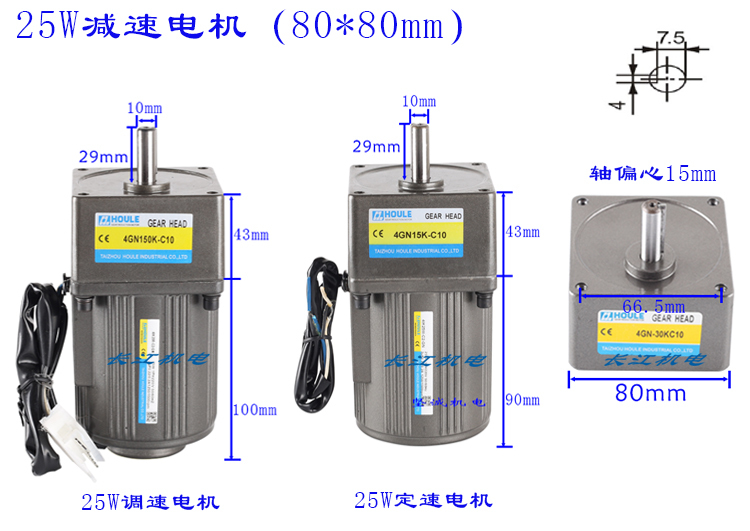 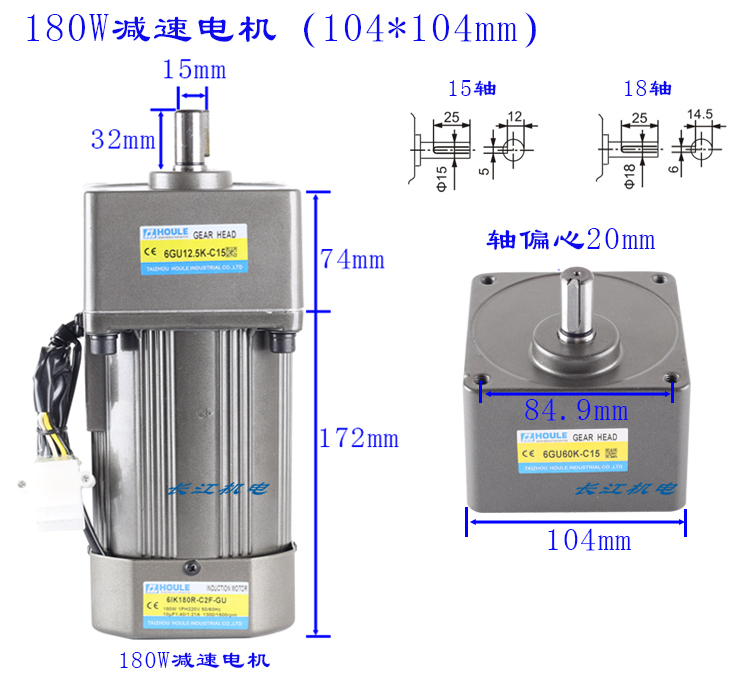 The following are the same as the "This link is 6W-400W miniature geared motor, speed ratio 3K-180K (speed 466 to -8 turn), for speed ratio 200K-300K, please contact us! 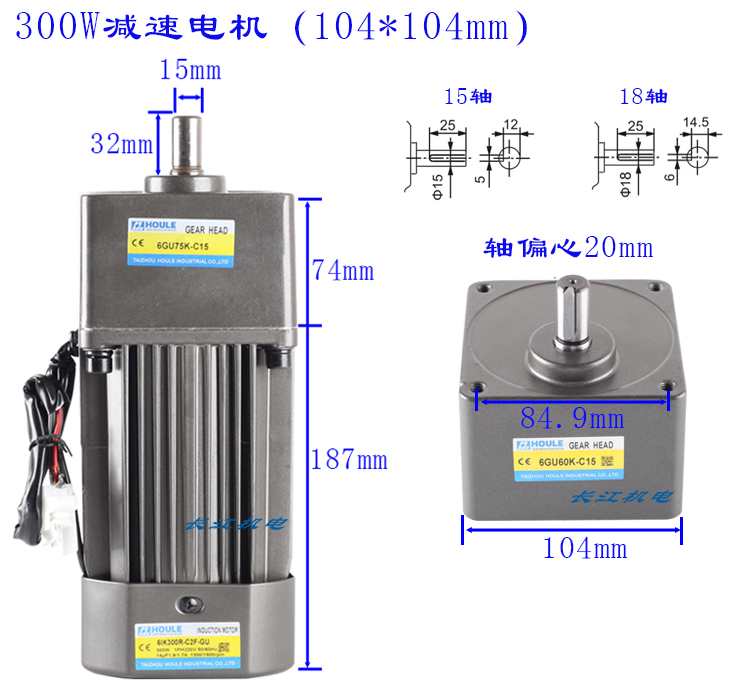 ElectricityMachine speed and speed, speed motor with speed governor can speed, constant speed motor directly with starting capacitorThe The motor can be reversed, such as frequent positive and negative need to increase the brake. 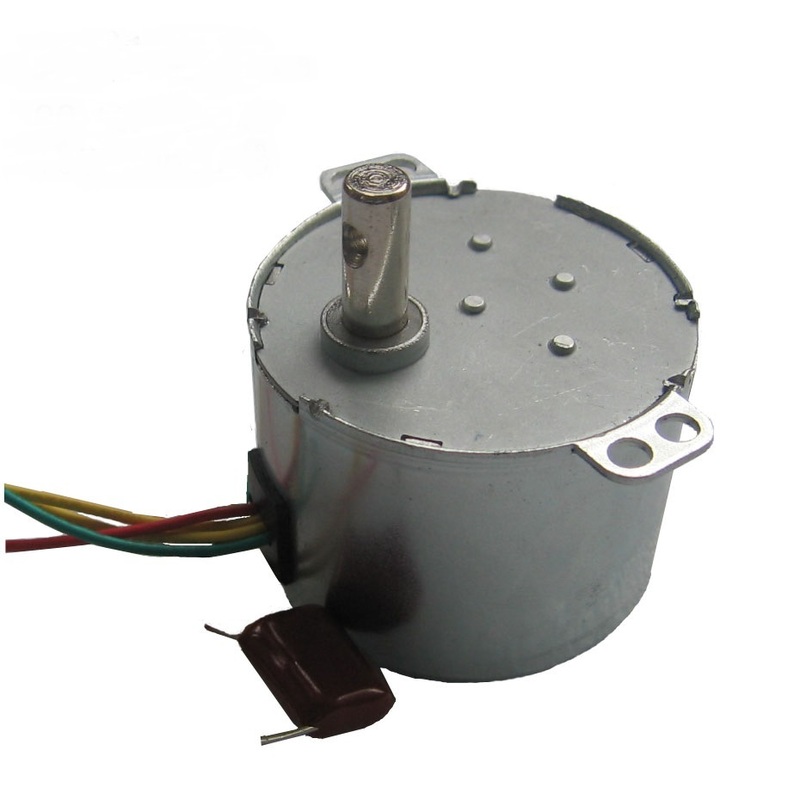 This link does not contain governor, bracket, governor, bracket need another shot. 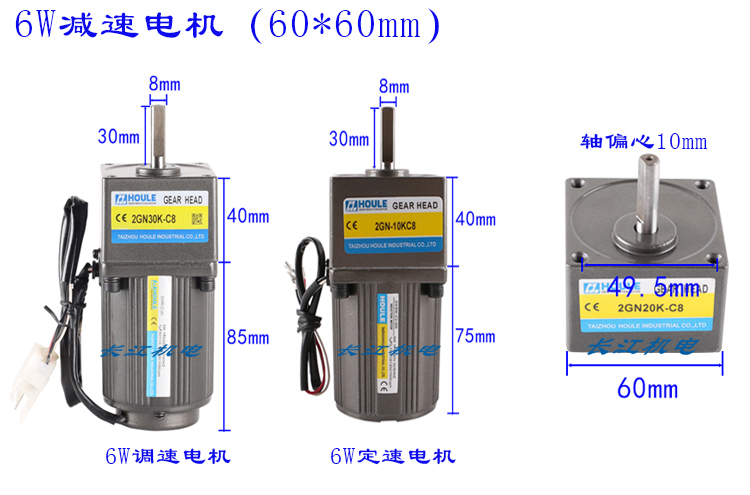 GovernorYou can adjust the speed motor speed (only slow down), need toIt should be noted that the speed through the governor slow down at the same time the torque will become smaller, long time running panel scale should be adjusted more than 50% better. 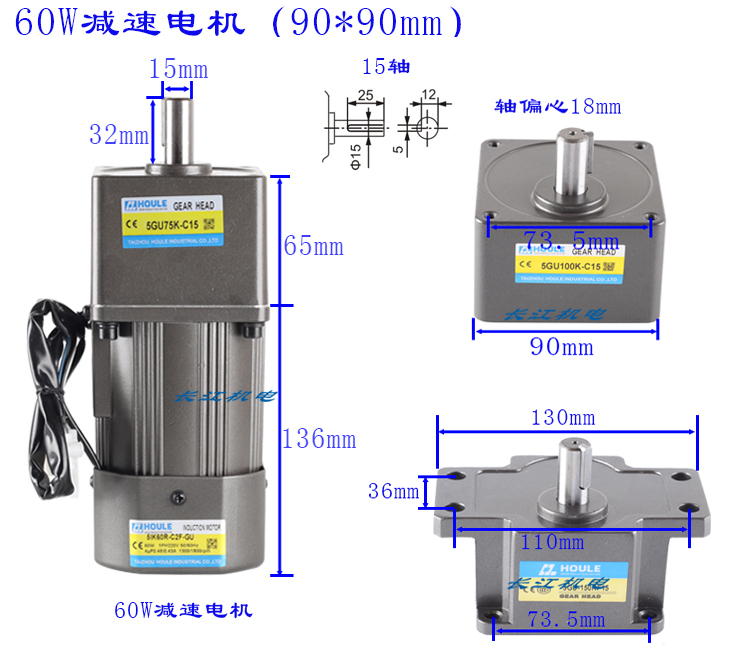 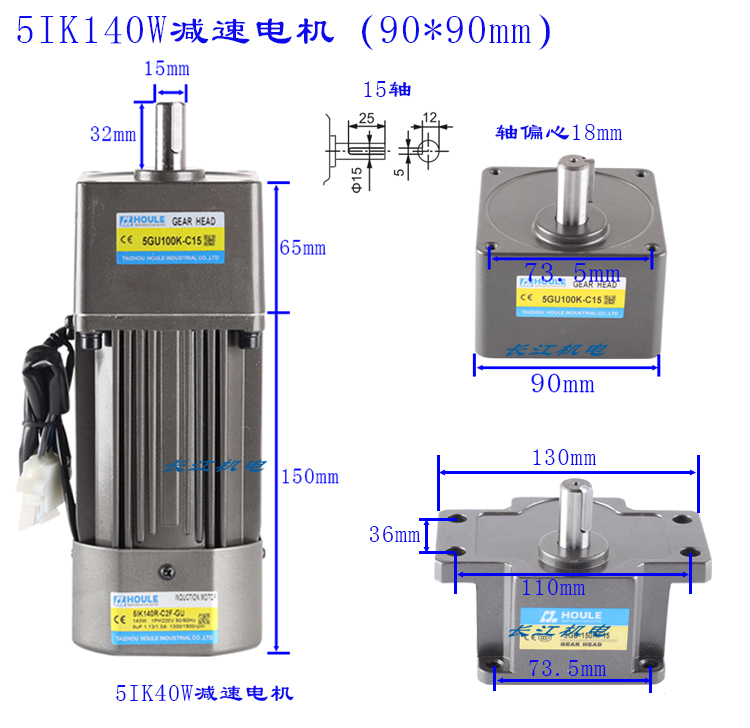 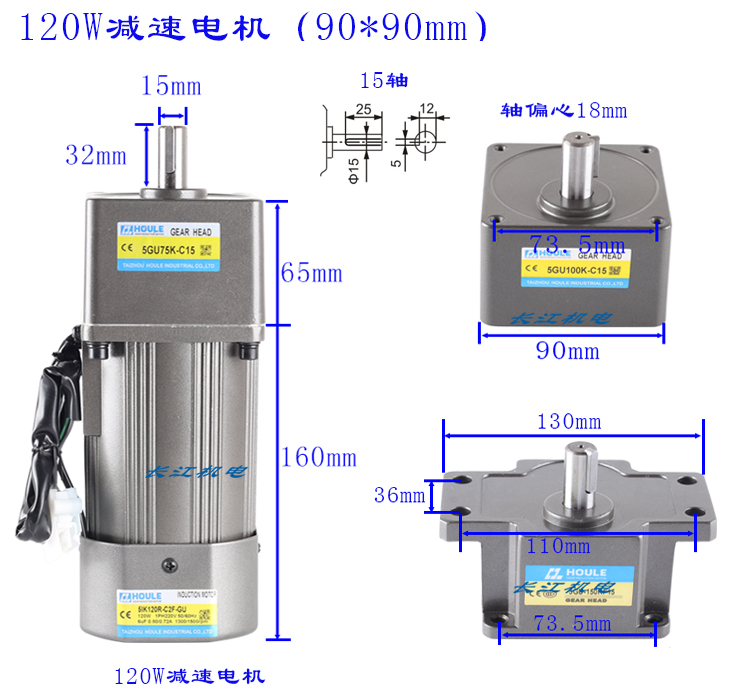 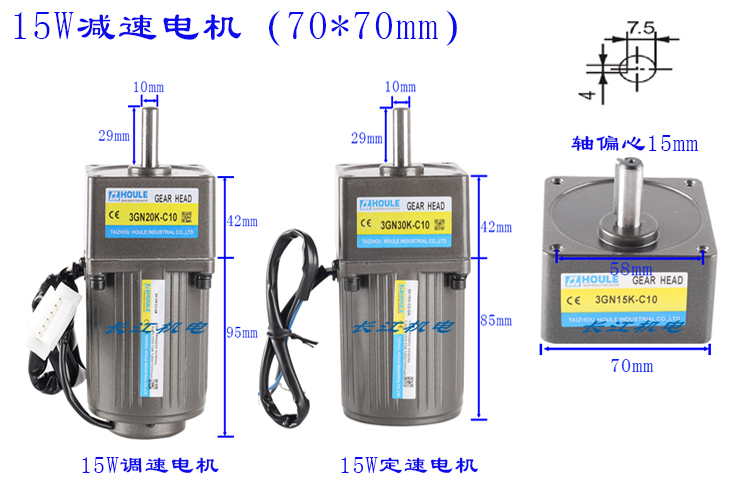 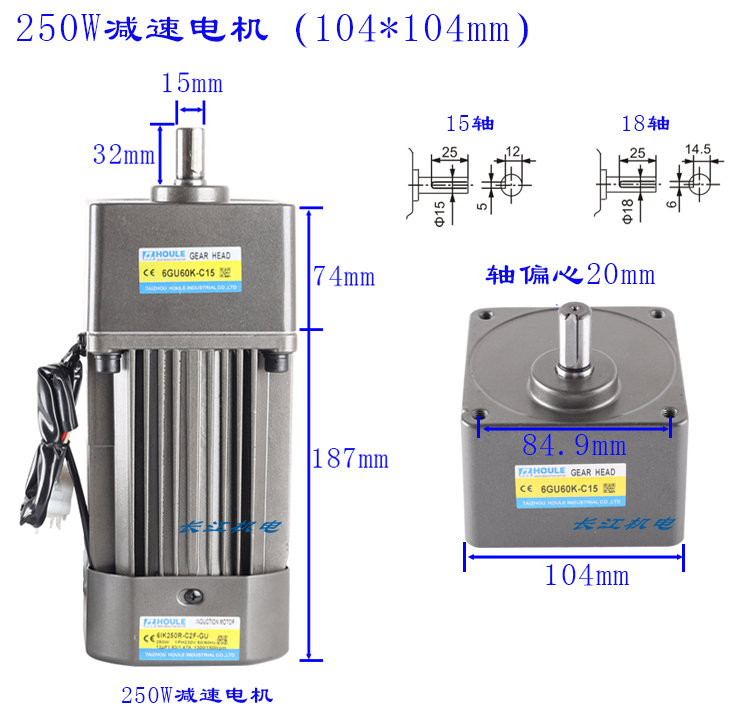 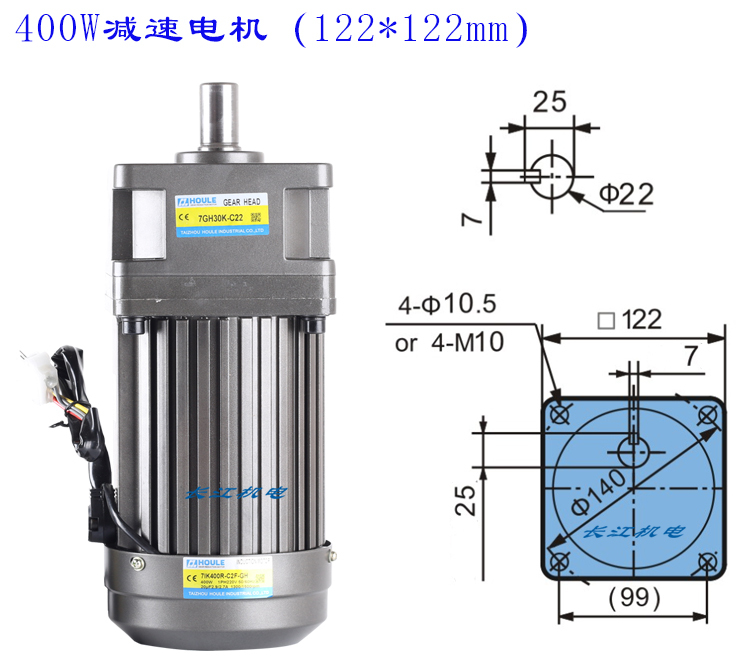 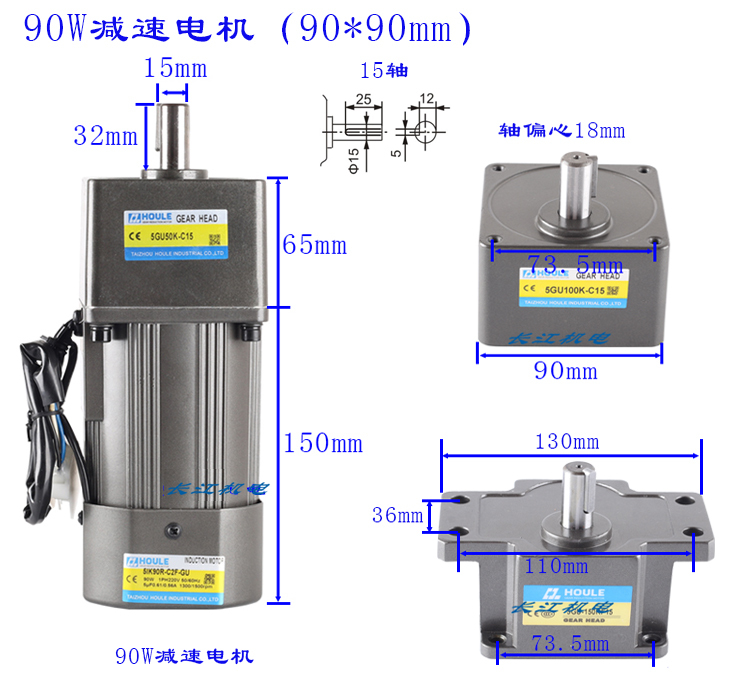 2IK6W motor output shaft is 8mm (milling flat shaft); 3IK15W, 4IK25W motor output shaft is 10mm; 5IK40W-140W motor output shaft default is 15mm, for 12mm please contact instructions or message notes; 6IK160W-300W motor output shaft default is 15mm , For 18mm please contact instructions or message notes. 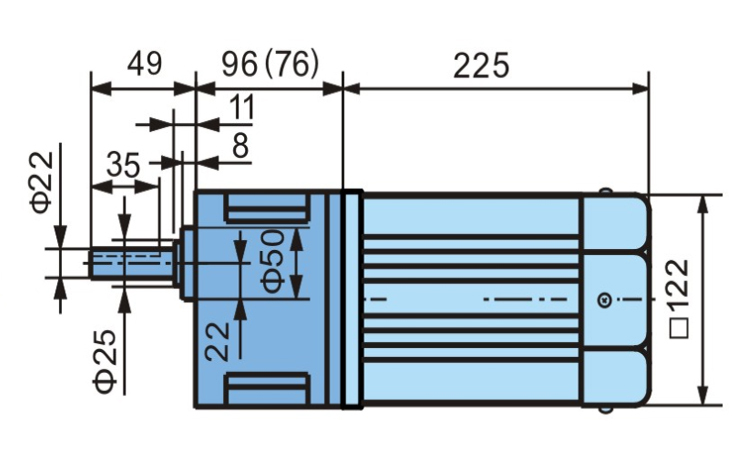 This section of the baby all the motor is not tax, excluding shipping.